In a small workshop outside Milan, Italy, the De Carlini family has been creating heirloom glass ornaments since 1947. 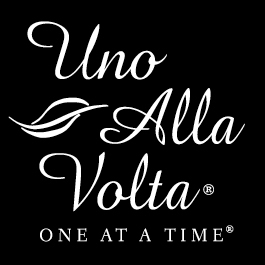 Each gondolier ornament, made exclusively for Uno Alla Volta, is mouth blown from fiery glass, heated to over 1400°F, then individually hand-painted and decorated with a traditional straw boater. This glass ornament is masterfully handcrafted, one at a time, from the heart and hands of the artisan.